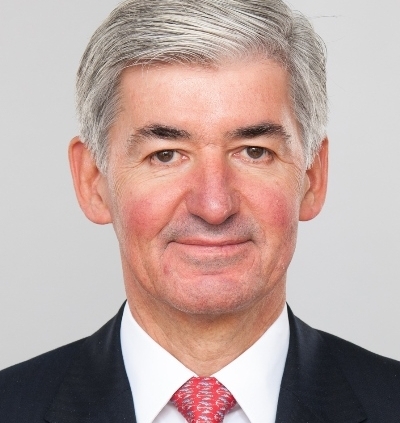 Jonathan Symonds, CBE, was appointed as Deputy Group Chairman of HSBC Holdings plc in August 2018 and has been an independent non-executive Director since April 2014. He has extensive international financial and governance experience. Mr Symonds was previously Chairman of HSBC Bank plc, HSBC’s European subsidiary, which offers services to clients in the UK and Continental Europe. Mr Symonds was Chief Financial Officer of Novartis AG from 2009 to 2013. Before joining Novartis he was a Partner and Managing Director of Goldman Sachs; Chief Financial Officer of AstraZeneca plc; and a Partner at KPMG. His governance experience includes roles as non-executive Director and chair of the audit committees of Diageo plc and QinetiQ plc. Mr Symonds is a Fellow of the Institute of Chartered Accountants in England and Wales. He has a BA, First Class Honours in Business Finance from the University of Hertfordshire.